Central Florida Reception Center East Unit is located in Orange County Florida. It is a level IV facility that houses approximately 1,400 male adult offenders who are of various custody levels. No vocational programs exist at this institution, but inmates can take classes to earn an adult basic education and a GED. Although there are no vocational programs at this facility, inmates can still take anger and stress management courses, participate in the library program, and a law program called the Gavel Club. 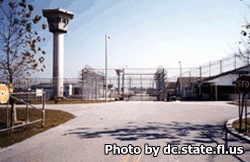 Some eligible inmates are allowed to participate in work groups within the community in areas such as the department of transportation and other contracted work. Visiting is on Saturdays and Sundays from 9am-3pm. You can arrive at the parking lot no earlier than 7:30am. Registration for visitation begins at 8:15am and ends at 2pm. If you arrive after 2pm you will not be admitted to visitation. Before you visit you must have an approved visitors application on file. 7000 H C Kelley Rd.